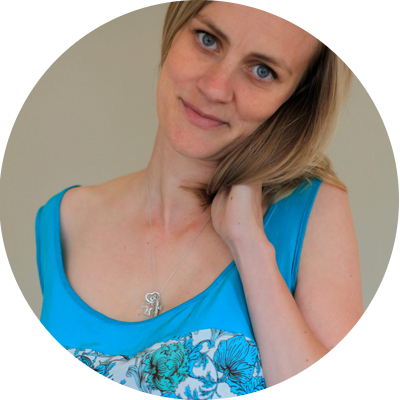 This April I’m sewing along with Karen of Didyoumakethat and a bunch of other talented seamsters. 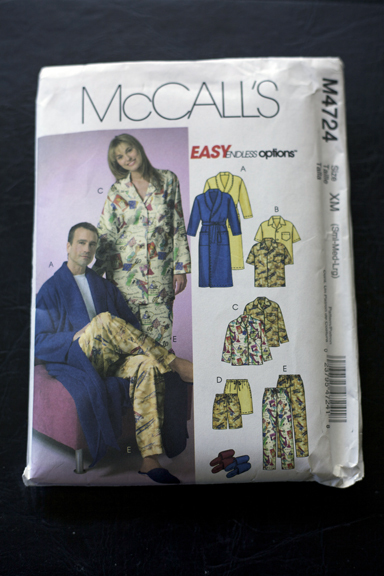 We’re all making pajama bottoms, and this post marks the beginning of the saga. It’s a party! A pajama party! Or, pyjama, if you will. Since I knew there was no way I’d be able to pull together the Vogue V8156 trousers in gray wool before the end of the SWAP, I jumped at the chance of making pajamas. No muslins, no fitting, but still trousers in a sense. 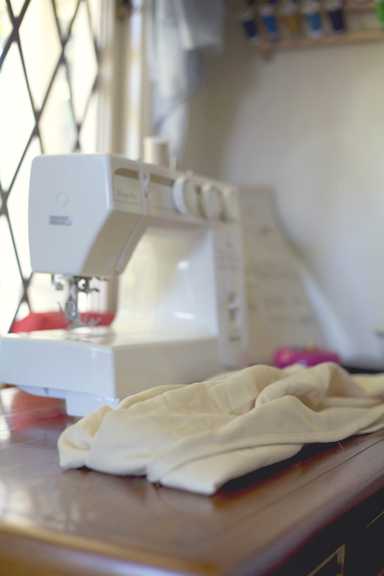 An easy garment to finish before the end of the SWAP, even though this SWAP is technically supposed to be all about muslins and fitting and such. 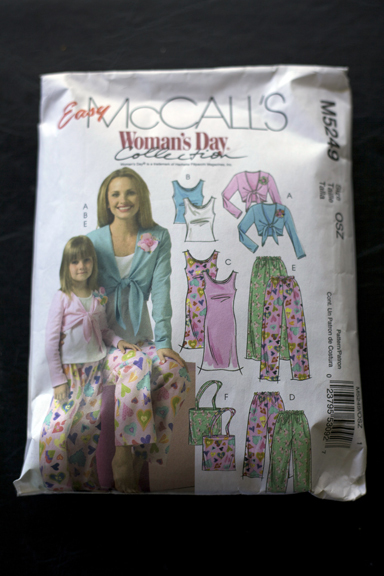 I had two patterns for pajama bottoms in my stash: McCall’s M5249 and McCall’s M4724. I liked the latter because the set reminded me of the pajamas in the Coco Chanel film Karen posted earlier this week (especially since I’m using a cream silk for my pajamas), but I ended up going with the former because it seemed to better fit my proportions. I’ve gotten as far as stitching up the legs (with French seams, no less! ), but I still need to finish the waist and hem. One last week of juggling projects to see if I can finish up this SWAP. It’s going to be a bit of a stretch with three garments left to complete, but at least I’ve already started on each of them. Wish me luck! french seams are best seams! Yes, they are. Only the fabric is labeled SAMPLE in many places. I don’t mind since it was essentially free from the FabMo event, but it takes down the class a bit! I do wish you luck and I know you can finish all the projects! Thanks! I’m working on it!